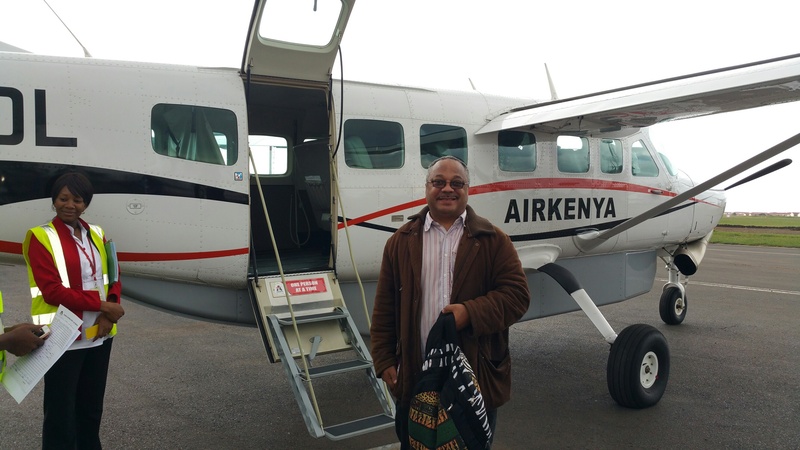 It was an intrepid flight from Nairobi to Maasai Mara game reserve because our 13-seater single engine Cessna light aircraft tilted sharply to the left to avoid a big bird as we came in to land. I found this out while chatting with the charming, talkative Air Kenya pilot James Mureithi after the 150 miles journey. He told me his surname means shepherd in his Kikuyu language. 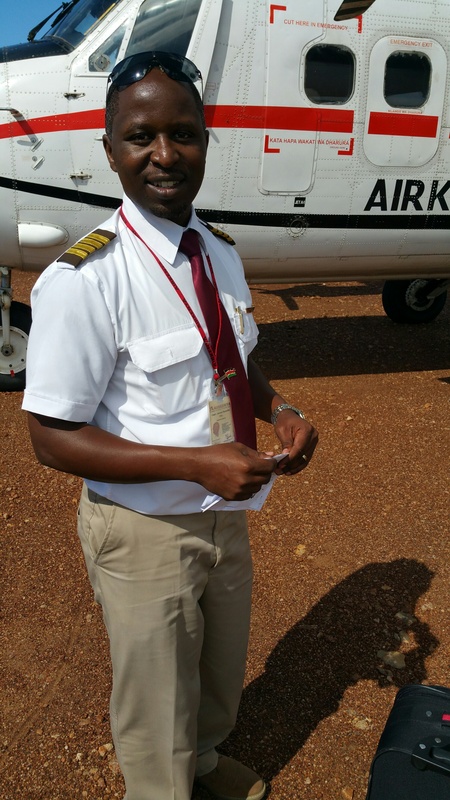 And shepherd us to safety did this Kenyan airman of 15 years experience, including with the UN and International Red Cross doing medevac (the medical evacuation of injured people) in war torn Sudan and Somalia. Aviation runs in the family. His father was trained as an engineer by Britain’s Royal Airforce and served in the Kenyan Airforce and his brother and sister are pilots. James rewarded my interest in his job with a lunch at his home near Wilson Airport, Nairobi, from which I had flown with him to my destination and back. James's brainy wife, Passy, who is studying for an MBA at Nairobi University, teased him about his favourite telly, which she couldn't watch: programmes about air disasters. James said they helped him understand how not to crash planes. 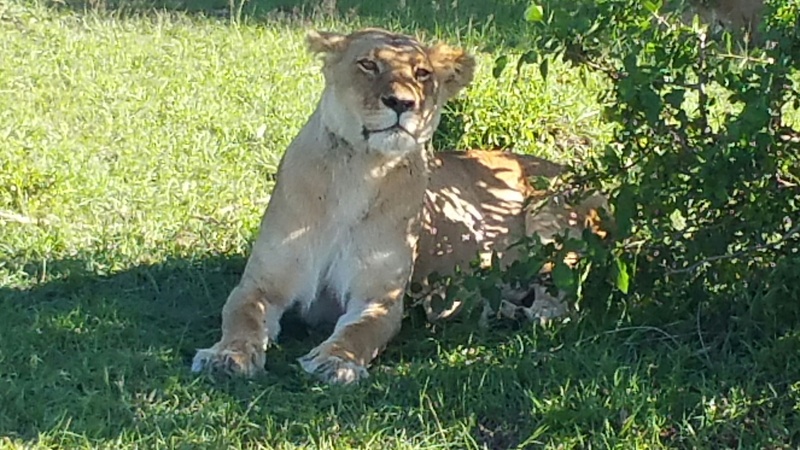 Maasai Mara is in the northern Serengeti, a vast savannah that spans parts of Kenya and Tanzania. The 1.7 million-strong semi-nomadic Maasai have almost equal numbers on both sides of the border, which they cross with their cattle, unhindered by immigration officials. 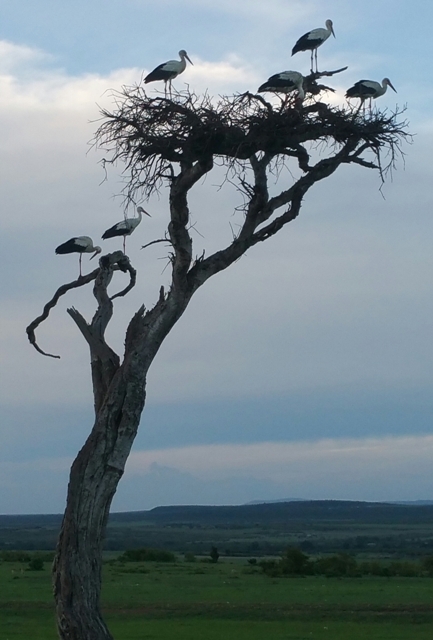 Serengeti is Maasai for endless plain and is also know as Maasailand. Mara also means plain. 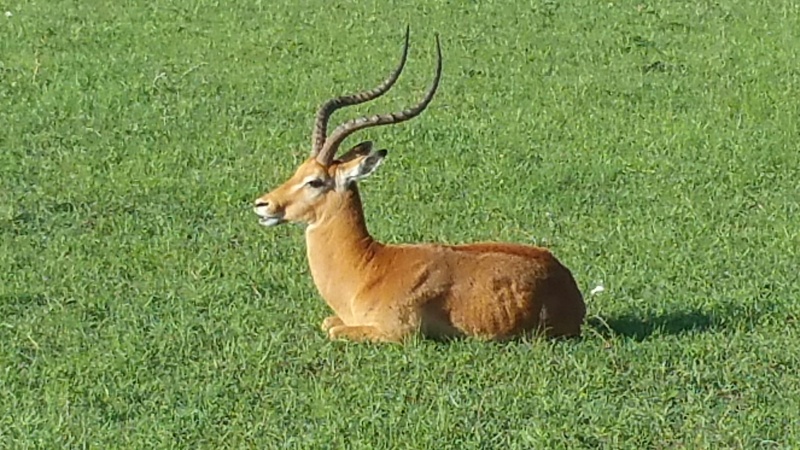 The savannah’s neat green carpet is dotted with clumps of bushes and low trees. Pockets of wildlife can be spied from the air grazing the pastures. The heartless and cowardly terrorism of the Somali Al Shabaab (“the youth”), who earlier this month slaughtered more than 140 students at Garissa university in northern Kenya, has hit tourism. It meant that I was the sole passenger in a 4x4 Land Rover that took me on safari. Base was the Sarova Mara Game Camp, which I reached after a half an hour drive from Keekerok airstrip. My Maasai driver and guide, Tony, was hugely knowledgeable. 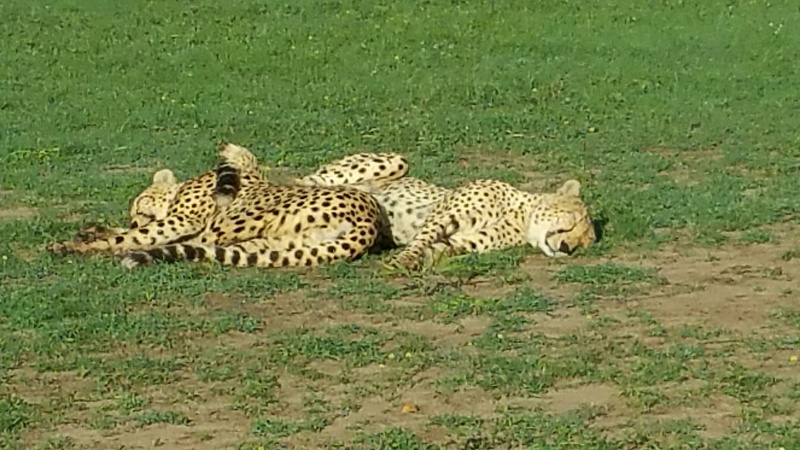 With no map or satnav he tracked down cheetahs for my enjoyment in just two painstaking hours. 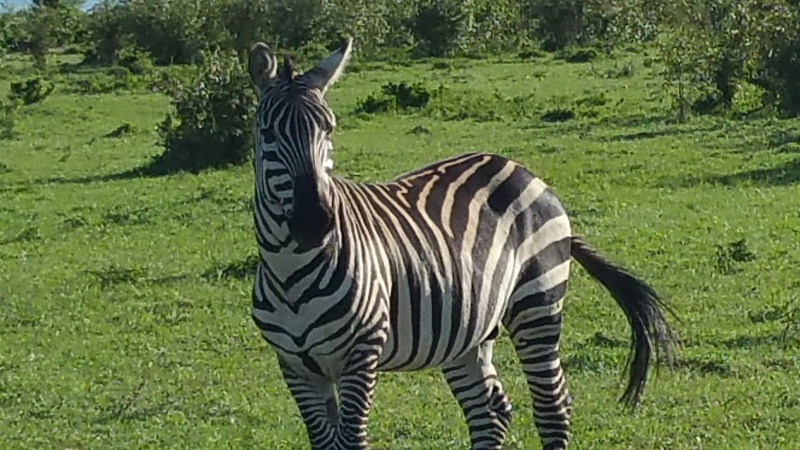 And, from more than a hundred metres away, he could tell our fine specimens of the fastest animal on land needed to hunt because their bellies were lean. They were brothers defending each other. Cheetahs, unlike lions, are loners who mate and then go their separate ways. 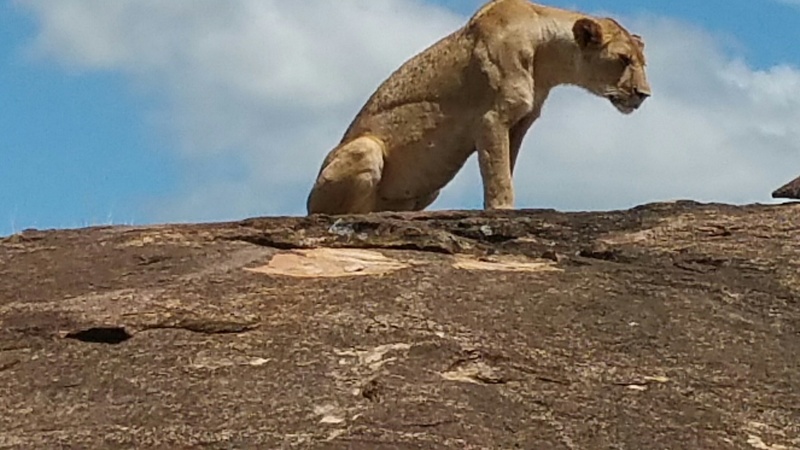 The splendid sight of three adult lions – a male and two females – sunning themselves on a rock, fascinated my guide, a keen amateur photographer, most. Out came his expensive Nikon and its several lenses to capture the special moment. Later, my eyes feasted on graceful antelopes, zebras, tree top tall giraffes, mighty elephants and an inquisitive buffalo. Because we never found a rhino or leopard, I was cheated out of completing my full set of the Big Five game for which sub-Saharan Africa is famed. It was amazing how close we were able to get to the dangerous wild beasts who were unfazed by the Land Rover and its human occupants. Perhaps we've become a part of their natural habitat. 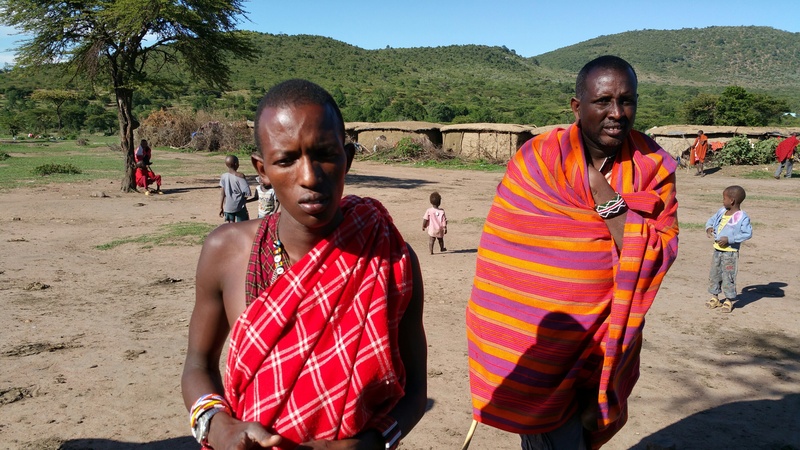 I was thrilled to visit a Maasai village. 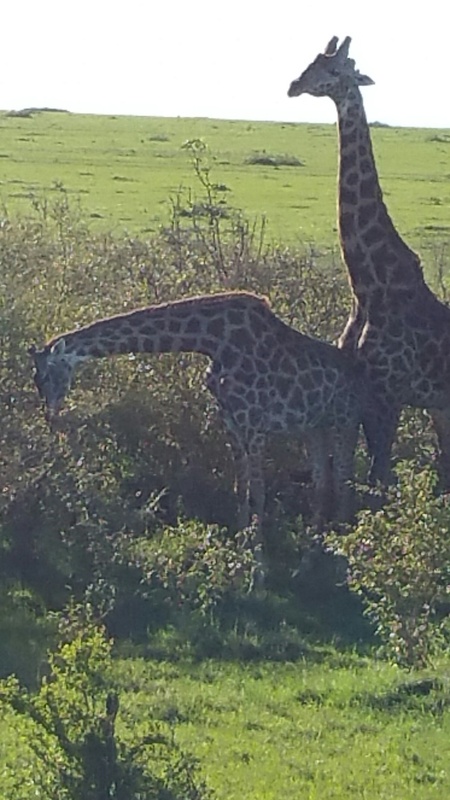 It was an experience I had craved more than going on safari. 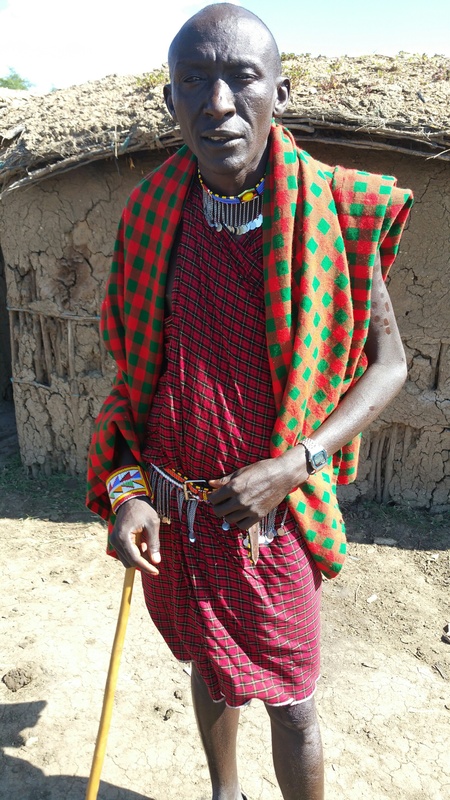 My village guide was the chief, Olesoit, who looked older than his 38 years. He taught me the Maasai greeting “supa”, which in Kenya’s more widely spoken Kiswahili is the much better known word, at least among tourists, “jambo”. Father of five Olesoit said there were 300 people in his village, comprising 20 families. Traditionally, newly wed wives build each home out of cow dung and tree branches. 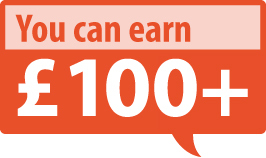 Supervised by more experienced women, it takes them three to four months to complete each one. The men folk are tasked with herding cattle, hunting for food and protecting the circular corral-like compound in which the villagers live. Every 10 years they up sticks and move the entire village 50 metres because that is how long their homes remain weather proof, said Olesoit. 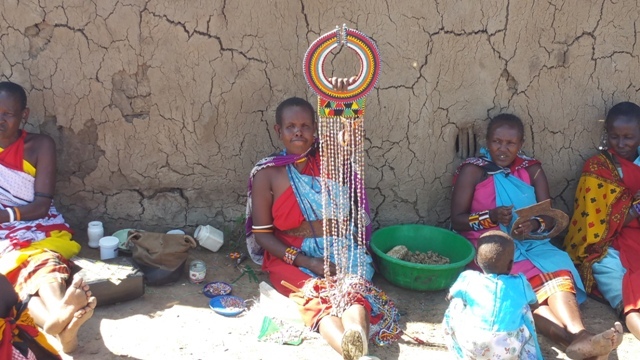 At last I had fulfilled my dream of visiting the Maasai, who are among the best known people of the region as they live near the many game parks of the African Great Lakes, and have distinctive customs and a signature red tartan style dress.